The kind RS from B’lore (No, no, not my twins RS, but the one from Penny for my Thoughts ) has tagged me to do a post on what Mommyhood has taught me. My first reaction was to jump up yelling, ‘me first, me first’ like we did in school, when a teacher asked a particularly tough question and you felt that you were the ONLY one who knew the answer and raised your hand , desperate for the teach to look your way 😀 . Alas, as I went through the other blogs doing the same tag, I realized , to my immense consternation, that I’ve learnt very little. I haven’t yet learnt to curb that vile temper of mine. I haven’t yet learnt to stop lamenting over the lack of sleep I get. I haven’t yet learnt to accept that this is just how life will be and in all possibility my hectic schedule will just get worse as the kids grow older. 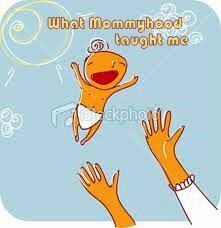 Mommyhood is one of the toughest courses in the university of life and the only drawback is, after ALL that hard work, after all the years of study, late nights, battering and emotional trauma, we still get nothing. No certificate, no plaque, not even a black robe and hat commemorating our dedication and perseverance. Unless fate decides otherwise, make sure you have ample age-gap between two children. Sometimes, it may not work out, the elder one may feel left out of love once a new one arrives. On the other hand, if the gap is too less, the elder one may not be able to differentiate as to how exactly his/her sibling’s needs are greater than his/hers. If you use home made cloth nappies for babies, make sure you note down this rule of thumb – Double the thickness of the nappy at the bottom if it’s a girl and if it’s a boy, double the thickness at the front. Also, if it is a boy, ALWAYS change diapers/nappies with the baby lying horizontal to you. So if you are sitting like ‘|’ make sure the kid is lying down like ‘-‘ . However smart, brilliant, cute, clever or pieces-of-heaven your kids might be, avoid repeating these terms in their presence. Your family is as much responsible for the upbringing of your child as you are. So if you find them reprimanding your kid, don’t pull out the daggers and call out a war. Take a deep breath and a moment for it to sink in that even they have a right to correct your child if S/he does any wrong. It may not always suit your sensibilities, but what the heck, kids are tougher than what we give them credit for. A few strong words and a little spanking won’t scar them for life. Being brought up like a namby-pamby might!! It was a Bad idea!! Bad Bad idea to gang up with 6 kids (5 under the age of 4) under one roof in the peak of summer. Looks like I’m ranting as usual. – The Time. I had one of the best times ever with the twins. From dawn to dusk, we were inseparable (blame it on the kids. I SO craved for loo breaks and bath times without them yelling blue murder behind my back!). Though it might sound clichéd, I must admit, I bonded with the kids BIG time. Back in Pune, I share them with so many people, but here, I took complete responsibility. Also, since the maid refuses to wash clothes and we use the washing machine, I washed the twin’s clothes by hand (that includes soiled clothing, remnants of a losing battle in toilet training). There is so much more to write about. But I think I’ll pass the talk and post the pics. There aren’t that many, because I was too busy having fun with the kids to bother with the camera. But I’ll surely post them as soon as I download them to my machine. I was purchasing some quick goodies a couple of evenings back when I came across a restaurant menu board displayed outside the restaurant next door. I read it. Then re-read it. Checked to see if anyone else was giggling too. Alas, I was the only one !! So what all do we have here? Ladies available at 10% Discount — Check. And the biggest surprise of all?? 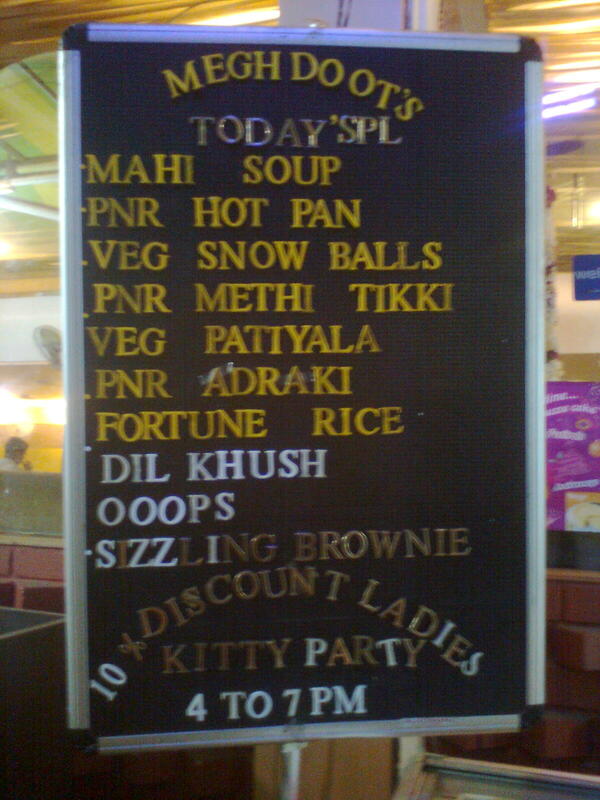 They spelled “SIZZLING BROWNIE” correctly!! Really!! I was out shopping last Saturday. Anyhow, there I was, in the peak of summer, driving under the blazing heat, getting lost in the heart of the city. It was the heat I guess, that made me take a wrong turn (I was relying on intuition to lead me out from the labyrinth lanes of Old Pune) and drive right into the city’s Red light Area. It took me a few seconds to realize why this particular area was so crowded. It took some more seconds to realize that I was being hooted at. Some even called out rude names to me. A quick look around confirmed my suspicion. I was in the wrong territory. For a second, I was almost tempted to send out my apologies, but the very next , I raced as fast as I could from that place. I’ve never been in such an area before, and now that I have, I’ll confess that I’ve never ever felt the sense of foreboding, of fear, of stifling restlessness as I felt there in those few seconds. Once I was back on the main road, I was shocked to realize that I was actually gasping for breath. That, when I was driving!!! Hadn’t realized that for those few seconds back there, I’d been holding my breath, my heart thudding loudly somewhere in the vicinity of my throat. Why did I react like that?? Its not as if some mean pimp would throw a rug over a plump thirty plus lady and drag her into the flesh trade! Then what did I fear? I’ve seen social workers on television, who frequent such places to educate the girls, letting them know the importance of sending their young ones to schools. I never gave much thought to those social workers. At least, not until now. Now, I know the amount of effort it would take to walk through those bylanes, passing by women with gaudy make-up and sleepy eyes . Women as old as the aunt next-door or sometimes, as young as the maid’s daughter who drops by for work when her mother falls ill. I saw a couple of girls in jeans and T-shirts walking by. They looked so normal, so regular, that it would be easy to mistake them for college students. Its only when they called out to the men passing by that I found out that they were masters of another study!! When did these girls get into this trade? Why did they? I’m sure they are victims of circumstances. There are regular news reports of girls being brought to the city and sold to the brothels here. There are plenty of North-East Indian girls here, probably kidnapped and sold, long lost from their families and loved ones. I wonder who cares for them now. I also wonder at the kind of job which makes young women brave the summer heat to stand out on the roads, calling out to prospective clients (is that the right word here?) , dressed awfully (usually in their night-gowns) but loaded with make-up. All of them standing together in a row like dominoes. I wonder what goes through the mind of a client when he sees this assembly line of sun-toughened booty 😐 . I wonder what these women do in their free time (IF they have some free time). I wonder if they ever think of leaving this trade behind. I wonder if they know of a life beyond those lanes. I wonder how it feels to conceive a child and not know who the father is. I wonder at the kind of life’s lessons that kid gets to learn. How do they cope? Clearly, I’ve been think way too much about those women these days. And all because I ventured into their territory by mistake. And as usual, I’m stumped at the extent to which I’m clueless about life and people. There is SO much to learn. Our sheltered and cocooned life gives us very little opportunity to see the lives of others from their point of view. I’m truly humbled. Allah has been highly benevolent on me and my kin. For that alone, I can bow my head a thousand times and offer prayers of gratitude. Ameen. You really think I can be kept away from being Word-y? You see, since the GMIL is in the hospital (still!! 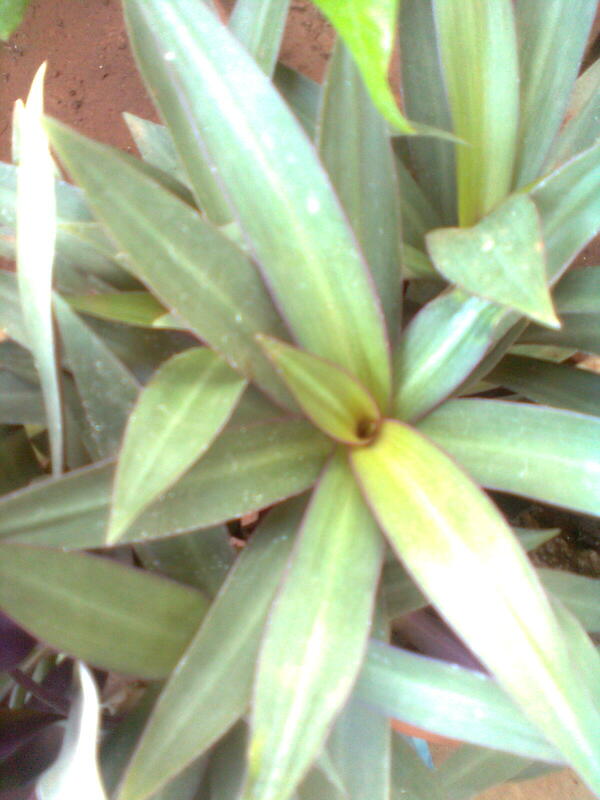 ), the onus of looking after her beloved plants fell on me. Me!! 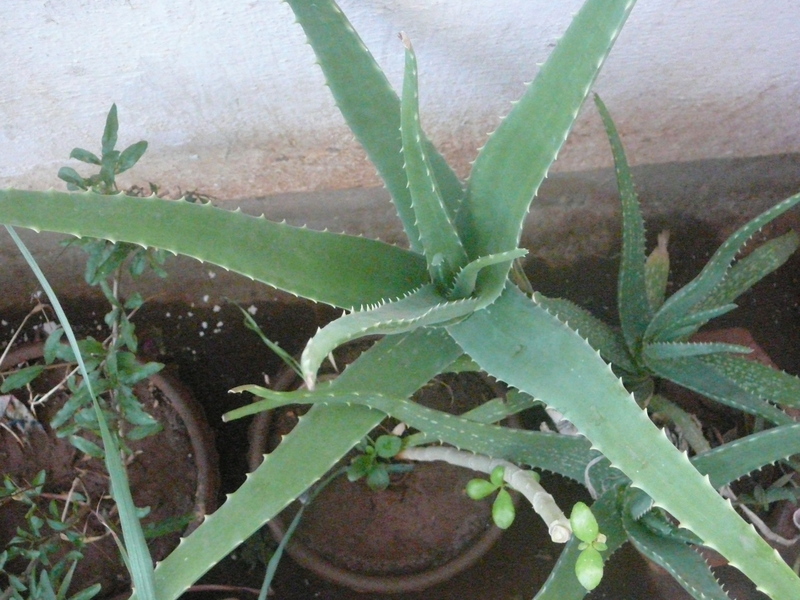 The serial plant-killer! The one whose very touch caused leaves to shrivel and buds to die before they bloomed 😦 I have poison in my finger tips I confess, there has to be a reason why plants never survive me. 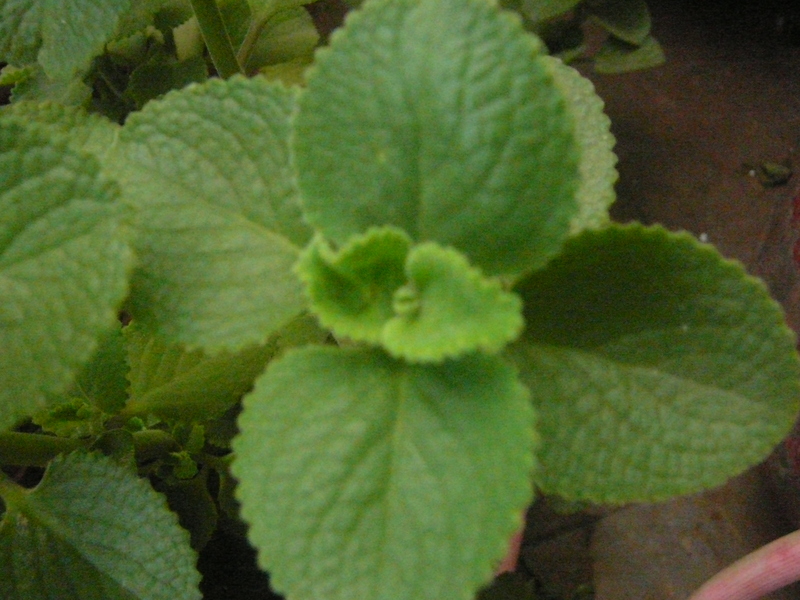 Even this time, once GMIL left for the hospital, ALL the plants died within the first week. Obviously, I could NEVER remember to water them in time. Moreover, the awful heat made sure that we kept the doors to the terraces closed, to avoid hot winds blasting into the house! Anyhow, after much hand-flailing and cursing self for not watering the mites in this heat, I got back to Operation Recover. I watered the plants, added the manure. Placed the pots in strategic locations so that they got just the right amount of sunlight. I prayed , I sang. I did everything but pull at the shoots to sprout a leaf. 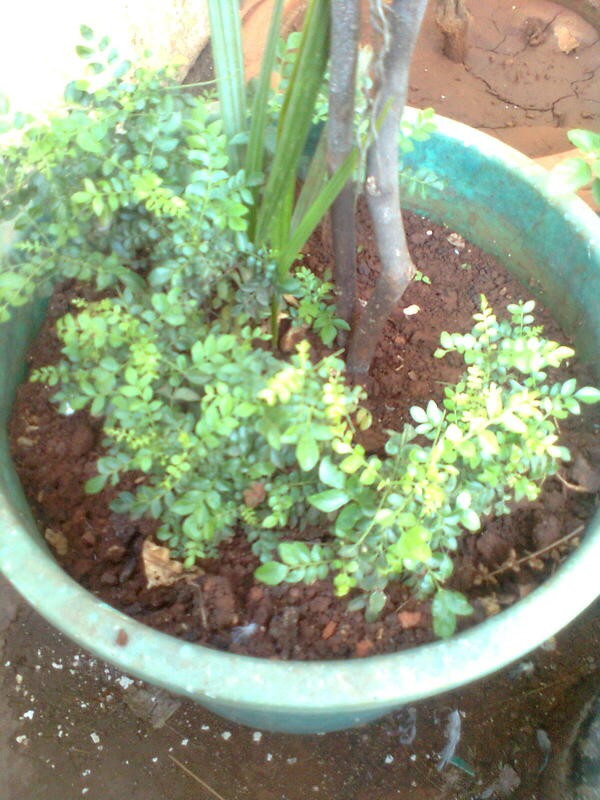 Gradually though, nature favoured my efforts and the plants started springing back to life. 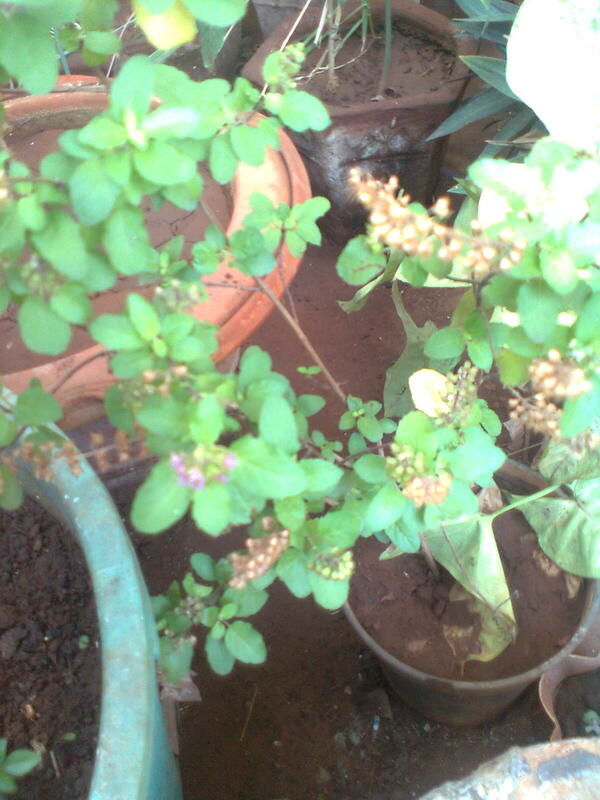 This is the first time I saw purple flowers on Tulsi!! I could write a funny little couplet with the three characters , Obama, Osama and me, but I won’t. Because though funny thoughts do creep up my mind, what I’m posting today is far from it. I’ll be writing about Osama and how he changed my life. I’ll mention Obama, who must have have faced a percentage of what I did. I’ll talk about me and the ones close to me. I’ll talk of all the agony and pain we went through. The humiliation, the anger the confusion. I’ll talk of all the things that went wrong because of Osama and why his death does not bring any relief or respite. But first, something about Obama. Its close to election time and since the Prez didn’t have much to count on for a second term, does the timing of this operation sound suspicious to you?? It does to me at least. So there was Osama, not hiding under a rock or a bunker, but living lavishly in a large bungalow with his family. So, wasn’t the US aware of his hide-out until now?? I, for one, am not impressed at the way the operation was carried out, even if Obama was hunkering over the screens, watching with baited breath as the Navy seals went about their task. So the big Terrorist- chap was gunned down in his house. Great. He was done in in the presence of his family. I wouldn’t really say ‘Great’, but I guess the family saw it coming one day or the other. Since we are not typical television watchers AND we didn’t get any papers yesterday (because of labour day), it was pretty late in the evening when we saw the news and were stunned into silence.Initially, I was rather skeptical of the whole act. The US claimed they shot him and dumped his body in the sea. Really?? I don’t believe you, I said. I refused to accept the news until finally, sometime later that night,they showed his dead body. It did look like the same fellow,I admit, specially the mouth part. With a head riddled with bullets, it was difficult to be 100% sure. But the world was sure and slowly, I too accepted that this guy was no more. Till late in the night, the family was discussing the consequences and repercussions of this death. Because as a middle-class muslim family, we’ve had our share of abuse because of him. I was doing my post-graduation at that time, didn’t have a TV or a radio at home. When I reached college, I heard a lot of animated conversation around. Conversation, that would suddenly stop in its tracks when someone spotted me. Gradually, someone came up to me and asked me if I knew what had happened that day? I remember joking about some lecturer not turning up for class. Alas, the truth, when told, was more horrific. Because, though I was informed about the ghastly deed, it was with a lot of raised eye-brows and hidden questions. ‘Did you know about it? How do you feel now that your people have done such a horrific thing’? Good friends stuck by me, not bringing up the issue in front of me, unless I did so myself. I could feel their reluctance to talk about in my presence. For the life of me, I could not understand why they thought talking bad about the taliban would hurt me!! I have NOTHING to do with them, I could have yelled and it would still have fallen on deaf ears. My brother had a traditional day in his office that day. He wore a Pathani to work. The minute he entered the office, the first thing he heard was a colleague shouting across the workhall, “Kya ______, yeh kya kiya tune? ?” Brother was obviously confused, until colleagues came up and demanded explanations about why he blew up those towers. Can anyone imagine the humiliation, the consternation of being accused of such a heinous crime publicly?? Something which he had NO hand in whatsoever? It was the same for years after. No PG accommodation/hostel was ready to take me in after learning of my surname. I walked from one place to another, saw that there was vacancy and yet, the owners would claim that the place was taken. It came to a point when the first thing I did after ringing the bell was to let the owners know that I was a muslim and if they were okay with keeping me as a paying guest. Should I be surprised that ALL of them bluntly told me that they don’t keep muslims. The only time I got a place was when a girl living in one house turned out to be an old friend from Dehra-Dun days. Even then, she didn’t tell the owner aunty that I was a muslim. It was only on the day that I entered the house that she found out the truth. She didn’t like it one bit, but it was too late to back out. Thankfully, the one year that I stayed with her, she encountered no issues with me and we got along rather well. In all this, would it have mattered to anyone if I told them that my father was a war-decorated army officer? That he spent 35 years of his service for his country, a country that is as much mine as it is yours? That patriotism runs in our blood as much as it runs in yours!! You know what irks me the most? That no other religion bears the brunt of activities of some of its outcasts! So a bunch of Sikhs can blow up a Kanishka, but no one will point a finger at a Sardar and insinuate that he’s a terrorist or a persona non-grata. Christian terrorists can blow up sections of the North-east in India or hundreds in Cuba, but no one will ever dare to term Christianity as a terrorist-religion. Hindu fanatics will go around burning people alive, but Hindus will always be the ones terrorized . Its only when a muslim terrorist blows up a place and the entire populace is quick to term ALL muslims as violent. ALL muslims are terrorists. ALL muslims should be avoided, boycotted. Like the time the BF was in USA and was refused accommodation because of his religion. Yes, even he was directly told by the owners that they didn’t rent space to muslims. Whom did the BF finally put up with?? Other muslim students who were similarly shunned. The irony is that the BF was on H1 visa to US with his colleague and good friend, who was a hindu. His friend got a place easily, the BF didn’t. I think, if you are NOT a minority, this kind of humiliation would be difficult for you to fathom. This is something we go through each day. Try hunting for a house in a good society…..sorry, No muslims. Try getting admissions to a good college…..sorry , no muslims. Try even schools ……and you have a fledgling of a chance of getting a seat. And even then, you’ll be made to feel gratitude, because, you see, the management doesn’t generally allow muslims, but they’ll make a concession for you . For a hefty amount, of course! Now that Osama lies buried somewhere in the Arabian sea (probably eaten up by the fishes by now), a normal middle-class muslin can think of breathing easy, for a while. But somewhere, there will also be a niggling thought eating at us that this may just as well be the beginning of the end. Things may just get worse from here. We may rejoice his death, but there are many more like him around for comfort. And the stigma that lies buried in everyone’s mind will never go, Osama or no Osama. But I guess this is just the pessimist in me speaking. I would LOVE to be proved wrong. I would love to see my kids holding their heads high when they walk into prestigious schools, places where they get admission on their merit and not religious inclination. I would LOVE to live in a society where the neighbors don’t call their kids back home just because they entered our house. I would LOVE it if my kids came back from school and talk about their achievements rather than wonder why their teacher called them some bigoted names. I would LOVE to see my kids mingling with other children, understanding about their culture and religion and not wonder why no one’s bothered about their’s. I would LOVE to have the freedom to be treated as an equal citizen of this country, a place I was born and brought up in. A place I love just as much as you if not more. A place, I hope my kids get a chance of knowing and loving as much I do. So tell me people, am I asking for too much? ?